Customize your rooms even more in Minecraft with the coloured beds mod. Now you can match your decor to your personal taste. When you first start out in Minecraft it is probably no big deal that every bed you acquire in the game is red. However as you invest more and more time building your home you may want to really make it your own. With no bed color options you are not able to really customize your room to your liking. This coloured beds mod will take care of that problem. What the mod does is explained in its title. 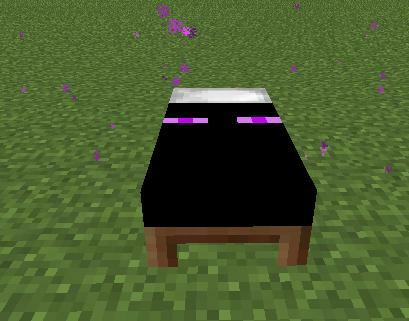 You will be given the ability to create new colors for your Minecraft beds. By using colored wool in the game you can achieve a bed to match any of the dyes you collect. Fashioning a colored bed is done the same way as the original using three wood pieces and three pieces of wool. So there is no new difficult production skill or trick to learn in order to get the color bed you want. The only difference is that instead of three pieces of regular wool, you will need to use three colored wool pieces in the color you would like your new bed to be. Overall this mod may not assist you in survival mode but its use in making your color schemes come together is awesome. Thus, if you are looking to take customization to the next level, check out the coloured beds mod for Minecraft.